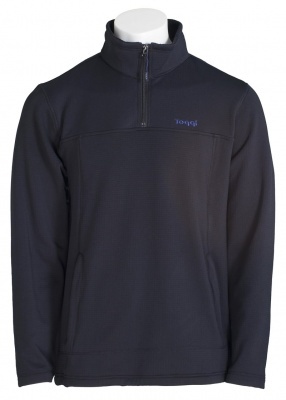 This lightweight and stretchy quarter zip Mens fleece offers comfort and warmth. The reverse of the inner fleece fabric has a textured check design which wicks away moisture ensuring that you are kept warm and sweat free. Usefull zip pockets provide plenty of storage for keys, cash and phone. 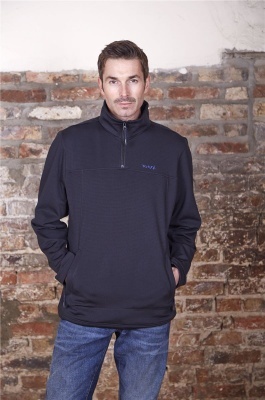 This practical and stylish layering piece is complemented with discreet trims and embroideries and the self colour coverstitch gives a sporty look.